Preparing a farm for wildfire is more complicated when it involves protecting live animals. To assess the impact of wildfire on livestock production, University of California researchers are asking livestock producers to participate in a survey. "We will aim to quantify the impact of wildfires in different livestock production systems," said Beatriz Martinez Lopez, director of the Center for Animal Disease Modeling and Surveillance in the UC Davis School of Veterinary Medicine. "The idea is also to create a risk map showing areas more likely to experience wildfires with high economic impact in California. "This economic and risk assessment, to the best of our knowledge, has not been done, and we hope to identify potential actions that ranchers can take to reduce or mitigate their losses if their property is hit by wildfire." 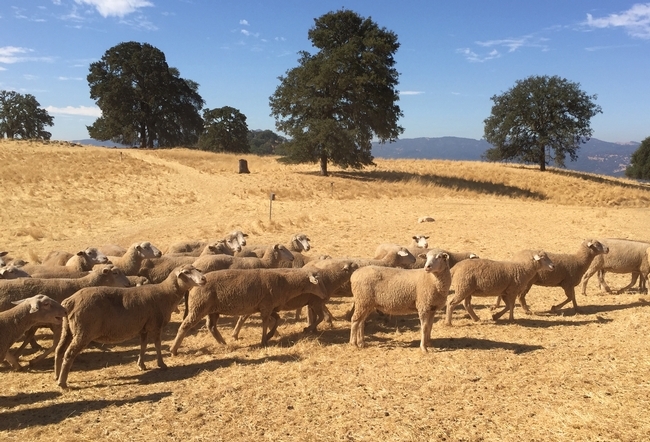 "Right now, we have no good estimate of the real cost of wildfire to livestock producers in California," said Rebecca Ozeran, UC Cooperative Extension livestock and natural resources advisor for Fresno and Madera counties. "Existing UCCE forage loss worksheets cannot account for the many other ways that wildfire affects livestock farms and ranches. As such, we need producers’ input to help us calculate the range of immediate and long-term costs of wildfire." 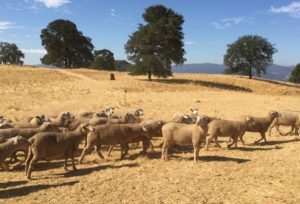 Stephanie Larson, UC Cooperative Extension livestock and range management advisor for Sonoma and Marin counties, agreed, saying, "The more producers who participate, the more accurate and useful our results will be." "We hope the survey results will be used by producers across the state to prepare for wildfire," said Matthew Shapero, UC Cooperative Extension livestock and natural resources advisor for Ventura and Santa Barbara counties, "And by federal and private agencies to better allocate funds for postfire programs available to livestock producers." "Survey answers are completely confidential and the results will be released only as summaries in which no individual’s answers can be identified," said Martínez López. "This survey will provide critical information to create the foundation for future fire economic assessments and management decisions."